Does thatboywill belong in this group? 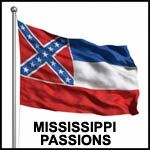 Mississippi is the place to be I love being apart of the Mississippi neighborhood. I live in Mississippi and looking to meet my wife here! Does coramez belong in this group? Somethig Different I am a single mom of two, a boy and a girl. I joined because I'm looking for something new, different, and exciting to introduce into my life, not anything serioous at the moment, but something that can be worked intoo a serious situation. Does uniquesims23 belong in this group? Southern Gentleman I was born & raised in Mississippi. Does kylan35 belong in this group? Does mzquita belong in this group? Info About Me Like being active, outdoors, computers, video games and hanging out. College student. 22 year old African American female. Interested in friends, dating and a committed relationship with the right one. Does lovelife101 belong in this group?